Augusta is the capital city of Maine and has the claim to fame of being the easternmost state capital in the United States. Augusta is located on the Kennebec River and provides its residents with a wide variety of beautiful neighborhoods, gorgeous scenery, and plentiful business opportunities. To help protect your Augusta home or business from being invaded and potentially damaged by area insects and rodents, trust the New England pest control experts at Big Blue Bug Solutions. We have over 80 years of experience in the pest control industry, and our professionals have a deep understanding of New England pests and how to protect people and property from their dangers. To learn more about any of our effective and affordable pest control solutions, give us a call today; our dedicated professionals will be happy to help you decide which solution is the best fit for you! New England is known for having four distinct seasons, and this leads some people to believe that they really only need to be vigilant against pests in the spring, summer, and maybe fall. But, the truth is that no matter what the temperature or season is outside, pests can become a problem inside of your August home. To protect your home, family, pets, and belongings from being damaged by common household pests, the professionals at Big Blue Bug Solutions highly recommend implementing a year-round pest control solution. 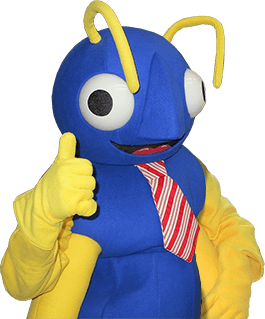 At Big Blue Bug Solutions we protect homes and families year-round from pests through our Home Owner’s Policy, or HOP as we like to refer to it. HOP provides our customers with three visits per year from our trained, educated, and experienced technicians where they provide preventative treatments and the on-going monitoring of susceptible areas. Through this program, we provide our customers with the guarantee that if pests become a problem in-between our visits we will return at no additional charge to take care of the problem! By choosing HOP you will also receive our exclusive Blue Glove Service; this guarantees that our technicians will wear blue gloves and booties when entering your home, helping to ensure that your home is as clean after we leave, as it was before we arrived. To learn more about HOP or our other residential pest control solutions including bed bug solutions, carpenter ant solutions, mosquito and tick solutions, and wildlife solutions, give us a call today! Carpenter ants are one of the top three wood-damaging pests found invading homes throughout New England, including unfortunately Augusta. Carpenter ants, like other species of ants, generally build their main nest outside, but they will take any opportunity given to them to invade a home searching for easy access to food and water sources; once inside they will infiltrate structural wood in order to create satellite nests that are close to their newly discovered food and water sources. If you ever spot large black ants wandering around inside or outside your home, contact Big Blue Bug Solutions immediately. The sooner you seek professional help the less damage the ants will be able to inflict inside of your home. To completely rid an Augusta home and property of carpenter ants and all of their nesting sites we offer a customized carpenter ant solution that is backed up by a one-year warranty. To learn more about Big Blue Bug Solutions' answer to carpenter ants in your Augusta home, give us a call today! In addition to our Monthly Maintenance Program, we also provide IPM services, pest control insulation, drain cleaning and more to help you maintain a pest free facility and to help maintain your business’s reputation. If you ever discover signs of bed bugs in your Augusta home, contact the bed bug control experts at Big Blue Bug Solutions. We can offer the inspection and treatment services needed to completely eliminate any size infestation from any property. Call us today to learn more!